Is MySpace the haven of the depressed; the savior of those looking to cope? Sometimes the most unexpected activities can be the best medicine. According to a new study from the Cyberpsychology & Behavior Journal, blogging is one such cure-all. The latest issue of the journal claims that blogging has become a coping mechanism. It lets those who are unhappy in their daily lives find an outlet to express themselves, and allows the world to see them for who they really are. This may sound hopeful, but reports have cropped up claiming that the study doesn't survey enough people. The methodology employed by researchers is less representative of the overall population than originally thought. 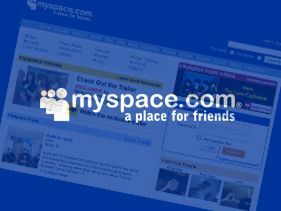 According to Arstechnica, "The study only focused on users new to MySpace, requesting that they complete a survey through a direct message. This process resulted in a study population of 134 through a 20 per cent response rate that the authors 'considered reasonable for random internet recruitment in the age of spam.'" Consequently, the researchers found that many of the respondents scored higher on measures of anxiety and depression, and were less socially integrated, than the average person. They were found to typically turn to blogs to vent or cope with life events. Is blogging really a coping mechanism? Making that decision is seemingly an individual one and it may be difficult to project the study's findings on to every person. But it certainly provides a significant amount of food for thought.